I love that blue flower fabric!!! Adorable DIY that I will be doing! Thanks! Too cool! You ladies are so creative. I suffer 8:30-5 cube living & always have a hard time finding the motivation to keep at my crafts in my down-time. This blog is a huge inspiration to me! I love it!! these are adorable! i bought similar fold-over styled clutches for my bridesmaid gifts, now im wishing i had done this instead! beautiful! I will never be able to do Do-it-yourself-things. 🙁 but you guys are awesome! Super cute! Iv had a struggle sewing with leather in the past. Was this type fairly easy to work with? Love love LOVE it! That would be perfect for a bag to throw into my book for things like wallet and keys, and then just grab it out of my book bag when I actually get the chance to leave campus. Can’t wait to make one! We used fairly thin leather (no special needle) and it was fairly easy. We lowered the tension a bit and went very slowly. Hope that helps! I was hoping you would do a DIY post for this clutch. 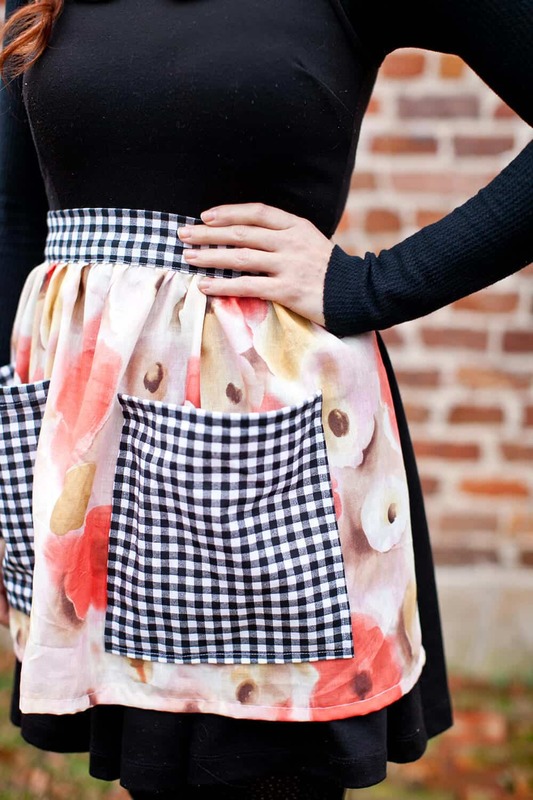 It looks like the perfect way to add some fun patterns and colors to an outfit. I can’t wait to make one for myself! I love your fabrics too. I just can’t decide which print I like best! I love it, I pin it! and I will try to do it!! Absolutely gorgeous! Such a simple pattern with such beautiful results! love , love , love this DIY post ! I really love the mixture of the geometric print and the leather. There is something so cool about the combination. Thank you for the DIY! Love it! Oh the first one is so fun! I wish I could sew! It’s such a handy skill to have! It’s beautiful and the fabric is gorgeous! Thanks so much for sharing! I am in love with the fabric collection you created and I love seeing how you are using it in different projects! So inspiring! Now this is a fun DIY! I love that you can choose whatever fabric you want – endless possibilities! LOVE this! You’ve inspired me to try some DIY’s! It’s so adorable, thank you for sharing this. Definitely going to try this out soon! Only need to find a place where i can buy the leather.. Thank you for the DIY– I want to make one of these someday soon and this will be so helpful! I was wondering– could you share a couple of good sources for buying leather? I recently did some research and found a couple options but was so nervous to press the ‘buy’ button. I’d love a recommendation from you gals! Great project! One quick question though…I don’t understand your comment about making the leather longer width wise than the fabric portion. Is the seam allowance of the leather trimmed to be the same as the fabric piece after sewing? there are just so many fabulous ways that you can work this, so many different patterns and colors. OMG! LOOOOOVE it! gOING ON MY WINTER CRAFT LIST FO SHO! Love this! Definetly got to try it. Looks so good, love the print! Wow, what a great DIY! Such a cute idea! My husband and I just made a “date-idea jar”, and one of the dates is to make a diy project from your blog! I love this!! 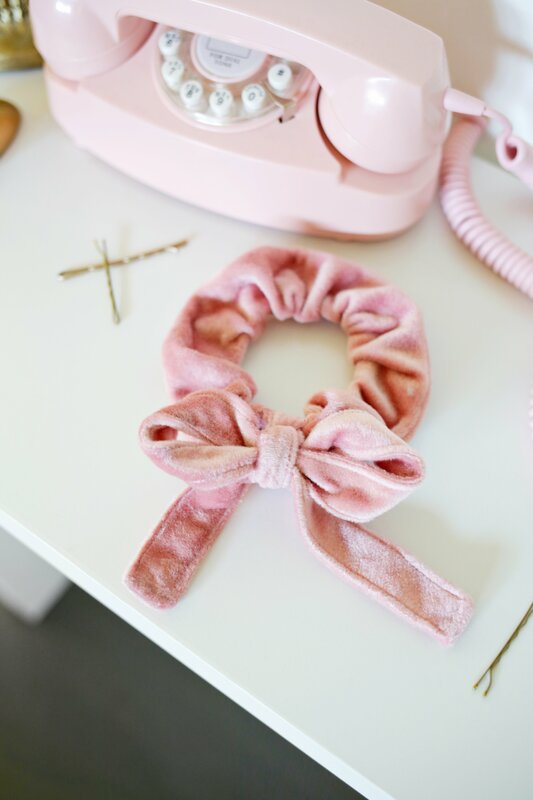 I wish I knew how to sew..
That is super cute and it seems easy even for me!! Thanks so much for sharing I LOVE it!! Love the triangle one up top. Super cute & easy. Another idea to add to my fabric stamping list! All your DIY post make me want to experiment with leather. This is my absolute favorite DIY right now! So adorable!!! this is just a pretty amazing idea!! I wish you have a nice day.. So beautiful! Just love it!! Love this! Where do you purchase your leather? I’ve been wanting to buy some recently, but haven’t found any. That’s so awesome! Thank you for sharing this. The clutch is absolutely wonderful! It looks easy and the result is awesome! So cute! Awesome! Looks just like a pencil case. Love this! What weight leather would work best? I like it a lot! Really nice clutches! this is wonderful. simply wonderful. thank you. This is perfect! Thanks for sharing! It looks simple enough that people who are really bad at sewing (such as myself) can do it, too! I love the look of the leather, it has a really cute vintage vibe to it. They are really beautiful purses. I love both of them! It seems simple to make, but it looks so chic. The fabric patterns really make the bag! Love that idea. It’d also make a really good make up bag. GREAT DIY post!! Love both clutches! My pouch purse is my FAVORITE – great to throw in a big bag or to take as clutch. Thank you for the awesome post! I don’t think, but this looks TOTALLY DELISH! Also, your CAPTCHA spam blocker is so annoying! I swear I have to try proving I’m not a robot like 4-5 times before it believes me! Thats gorgeous, such a cool DIY. this is so awesome, I am making it right now but am struggling with the lining part. Not too sure about the hole that is to be left? thanks! I made my own clutch tonight thanks to your tutorial, but oh my…this was my first zipper and very difficult (still not sure it’s right). Could you put a zipper tutorial up sometime? I love this turquoise fabric! This is such a great post! I am going to try this ASAP! Can you make the bag with black and white on top? (Ur first pic) I would buyit from you! Love it!!!! Can you give a little additional advice on how to do the zipper? I love this clutch. I’ve made two now. But having trouble mastering the zipper. Particularly at either end of the zipper. It’s tough to close it off on the seam.